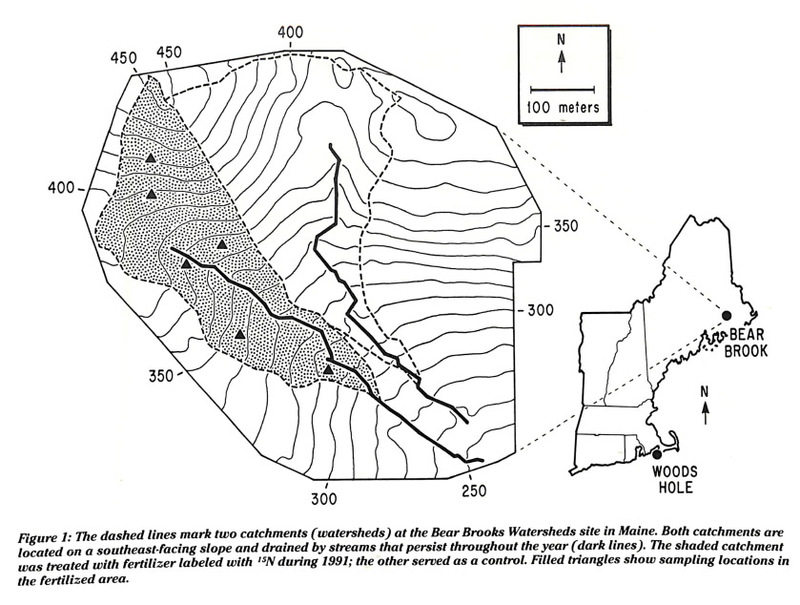 Caption reads: "Figure 1: The dashed lines mark two catchments (watersheds) at the Bear Brooks Watersheds site in Maine. Both catchments are located on a southeast-facing slope and drained by streams that persist throughout the year (dark lines). The shaded catchment was treated with fertilized labeled with 15N during 1991; the other served as a control. Filled trianges show sampling locations in the fertilized area."